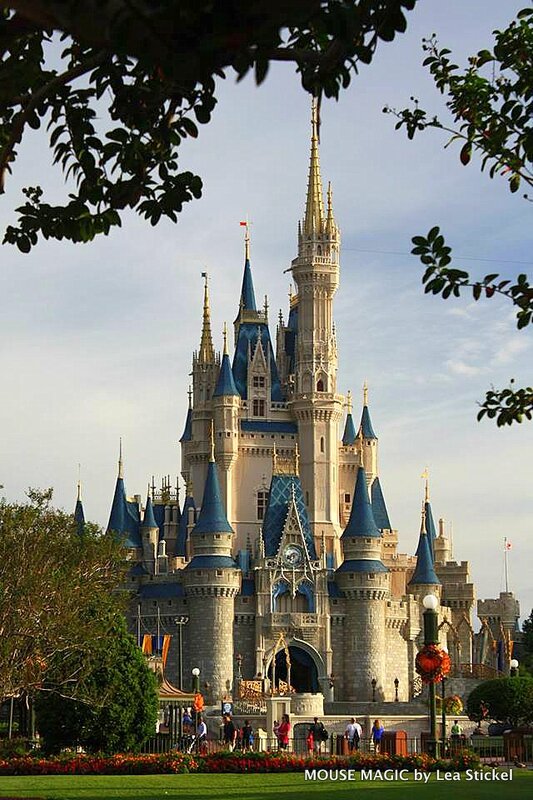 Magic Kingdom, the first Walt Disney World Resort theme park, opened on October 1, 1971. 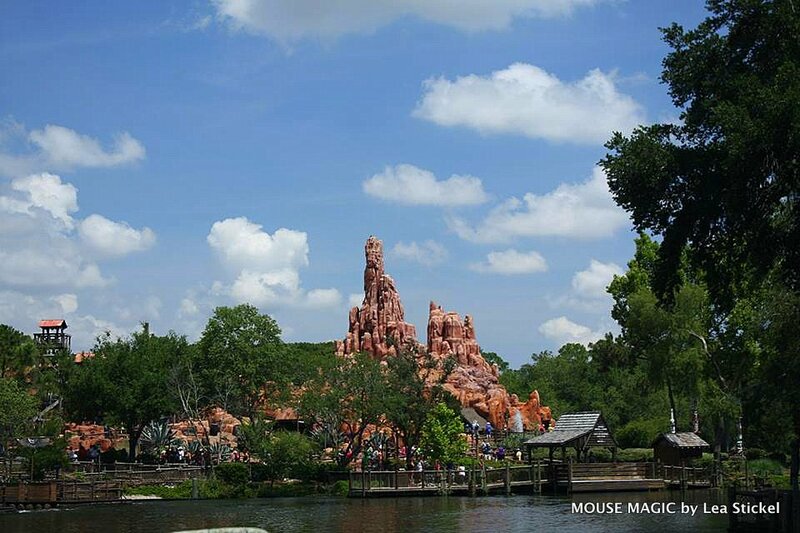 The Magic Kingdom park is divided into six (6) themed lands: Main Street U.S.A., Adventureland, Frontierland, Liberty Square, Fantasyland, and Tomorrowland. 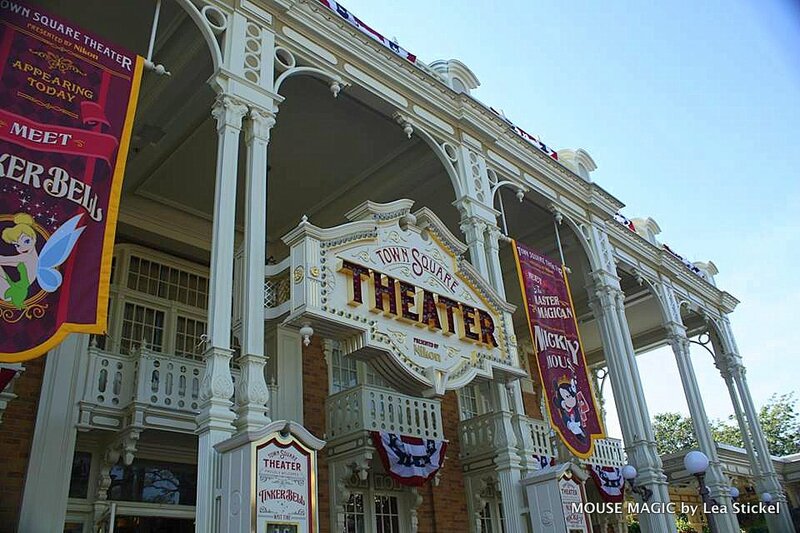 Main Street, U.S.A., a re-creation of the turn-of-the-century America, is one of the most visited locations in all of the world. This one street has been visited by millions of guests from all around the globe! 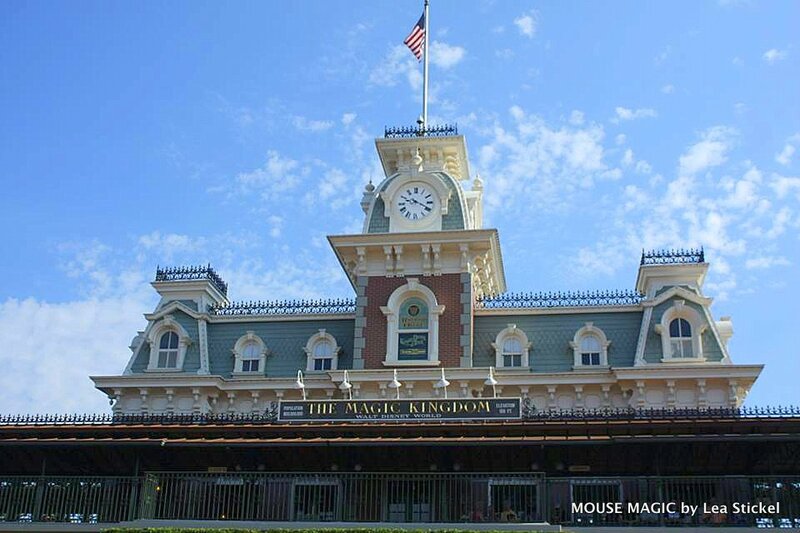 Here you will find City Hall, Main Street Chamber of Commerce, Harmony Barber Shop, Town Square Theater, Main Street Bakery, Plaza Ice Cream Parlor, Walt Disney World Railroad (1 of 3 stations throughout the Magic Kingdom), shops and a fan favorite, The Emporium! 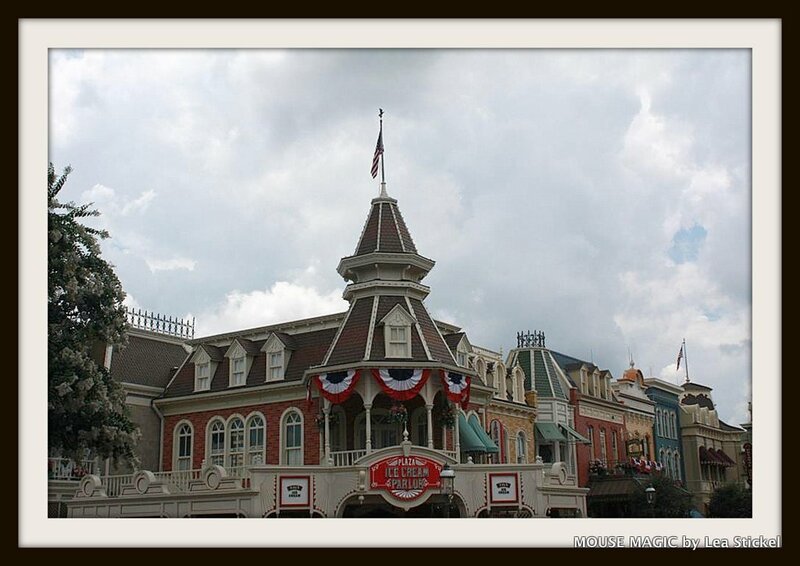 Shops & Businesses on Main Street, U.S.A. 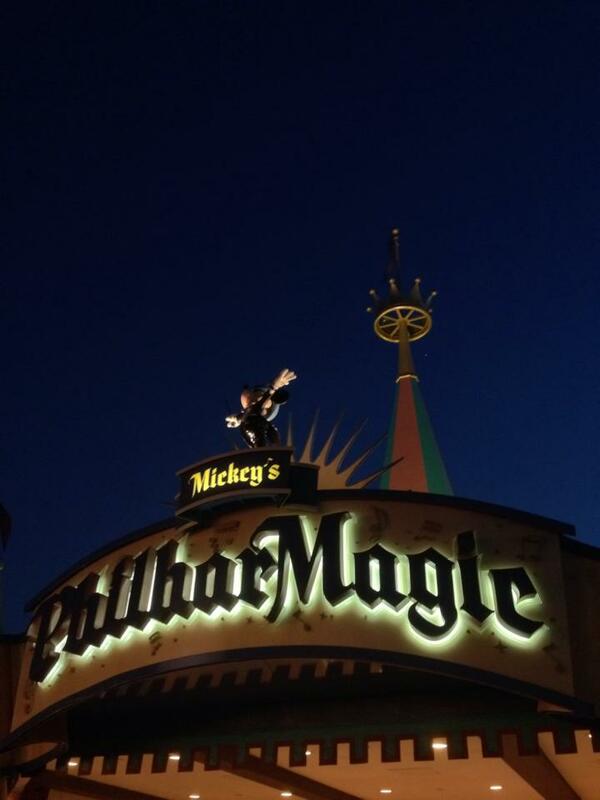 The Town Square Theater is where Guests can meet Master Magician Mickey Mouse and Tinkerbell. The Crystal Palace is located at the end of Main Street U.S.A. and is actually the only location in all of the Magic Kingdom that literally sits within two lands. 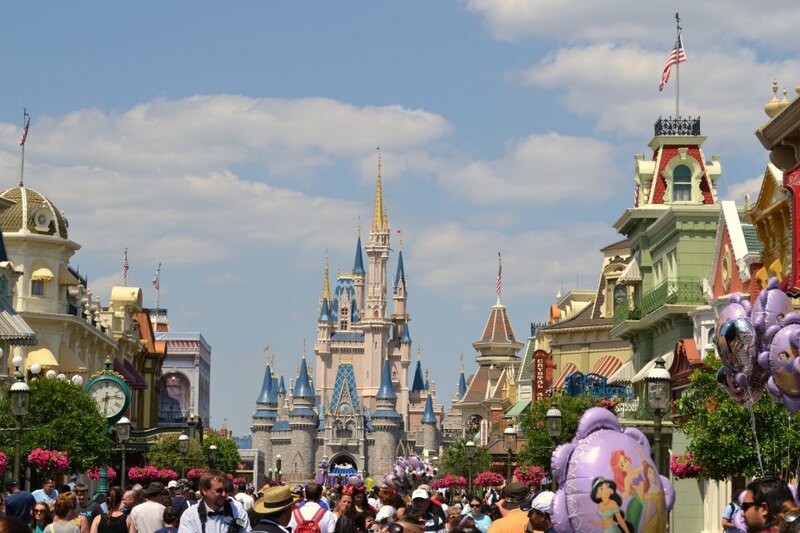 If you look close enough you will see that The Crystal Palace is located within Main Street U.S.A. AND Adventureland! 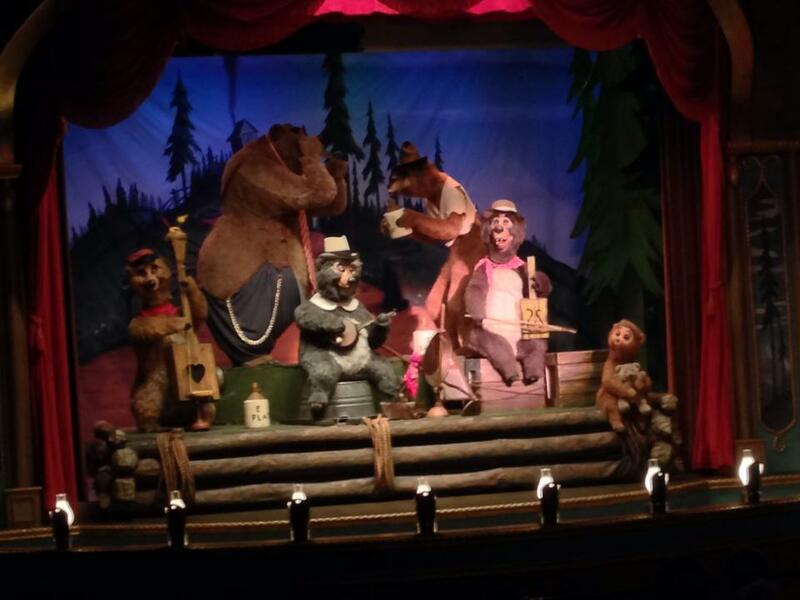 While this is a table service meal, it is also considered a character dining experience as well. 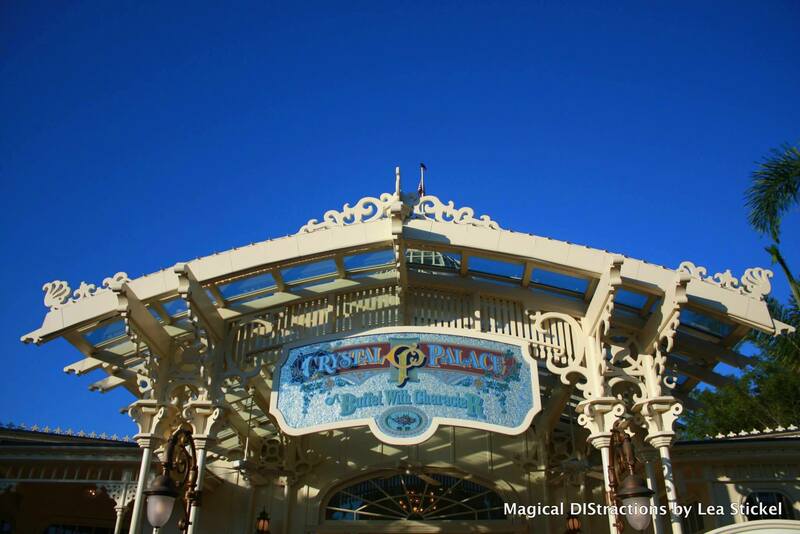 The Crystal Palace, a beautiful, Victorian-era inspired restaurant, is one of the five table service restaurants located in the Magic Kingdom park and is the perfect place to enjoy a sit-down meal and quiet that rumbling in your tummy. Winnie the Pooh and his friends make an appearance at all three meals so, as you can imagine, the restaurant is quite popular. Advance dining reservations can be made up to 180 days in advance and, given it’s popularity, those advance dining recommendations are highly recommended. 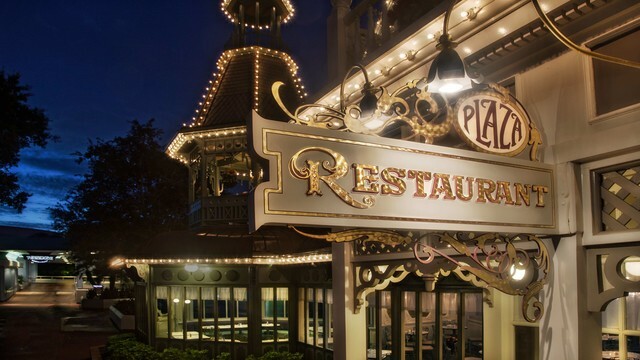 The Plaza Restaurant is a family-friendly table service restaurant where you can dine on casual American food with the most perfect view of Cinderella Castle. If you are looking to indulge in hand-scooped ice cream, Plaza Ice Cream Parlor is where you need to go! 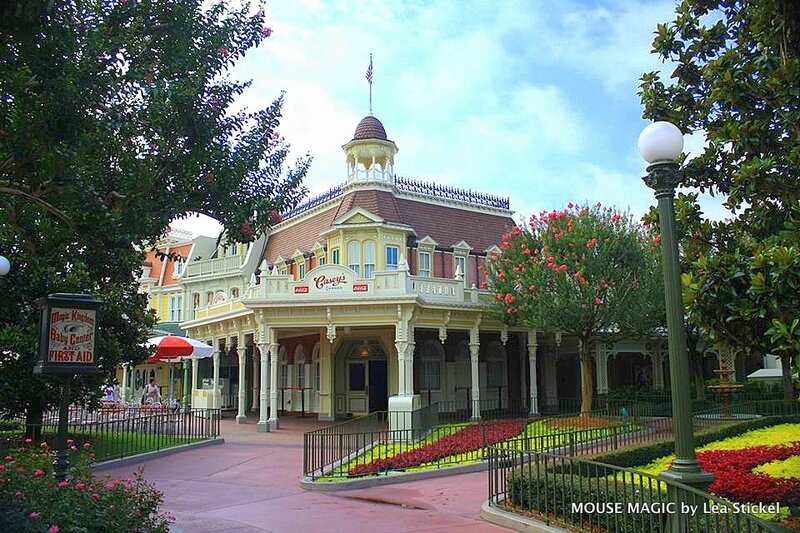 This sweetly nostalgic ice cream parlor is located on Main Street, U.S.A. in the Magic Kingdom park. Guests can savor floats, fresh waffle-bowl sundaes smothered in hot fudge and Mickey cones with chocolate ears! Have special dietary needs? Plaza Ice Cream Parlor has both fat and sugar-free options available. 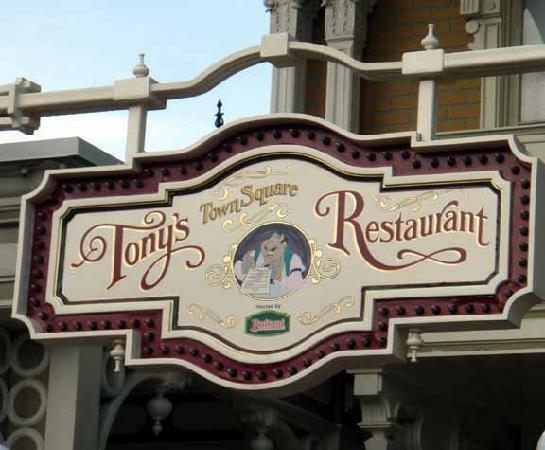 Tony’s Town Square Restaurant is a very popular location as this is where you can dine in the very restaurant that Lady and The Tramp had their first kiss! Tony’s Town Square Restaurant brings to life the famous “spaghetti sharing” scene from Disney’s Lady and the Tramp, and immerses its diners in the animated world of some of the most beloved Disney characters. Here you will find salads, pastas and other Italian entrees. Casey’s Corner hits it out of the park every single time with their all American baseball favorites: hot dogs, nachos, corn dog nuggets, French fries, cotton candy and Cracker Jack. 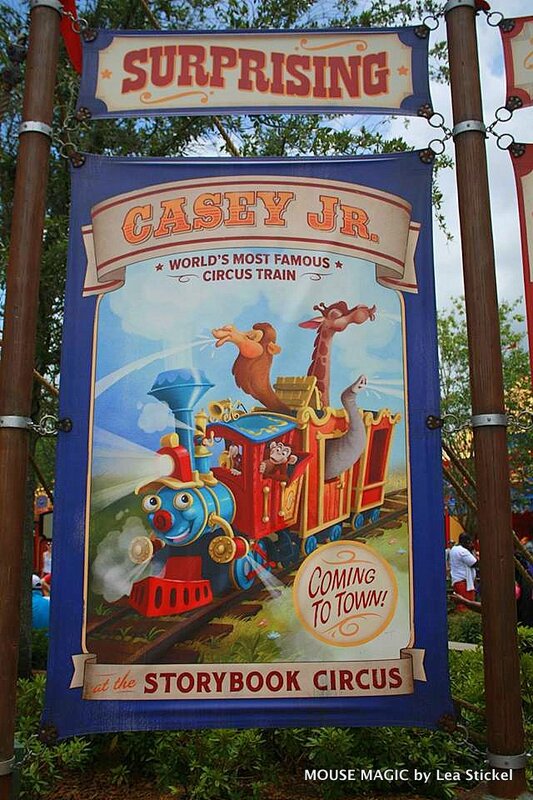 Located at the end of Main Street U.S.A., Casey’s Corner is a fan favorites and serves up some of the best hot dogs in all of the Magic Kingdom Park. Soft drinks and other beverages are available. For the full menu, click here. While at the Magic Kingdom, you’ll want to make a stop at Main Street Bakery where delicious goodies are served all day long! At Main Street Bakery, you can start your day with a tasty cup of coffee or a mouthwatering treat. The menu selection includes STARBUCKS® Coffee and specialty beverages, along with Disney baked goods and La Boulange™ pastry items. 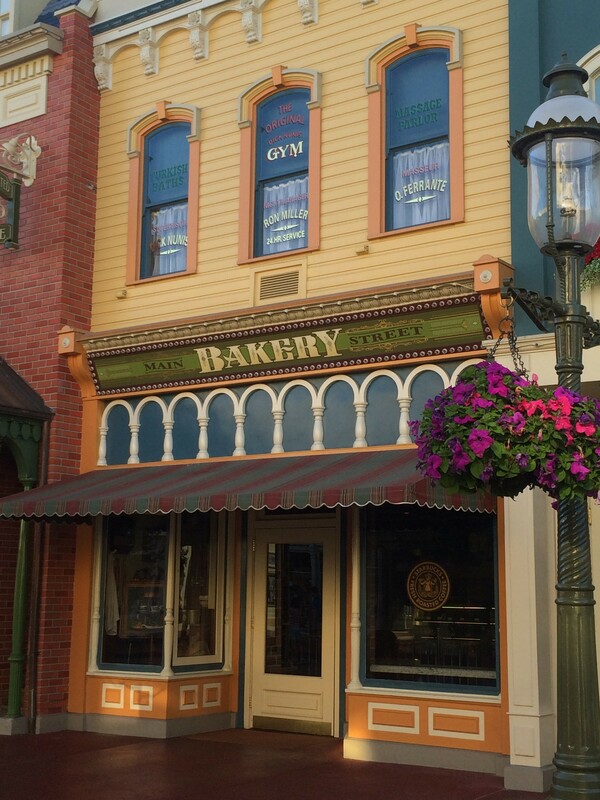 Should you be looking for the famous Main Street Bakery cinnamon roll, it has been moved and can now be found at Gaston’s Tavern in Fantasyland! 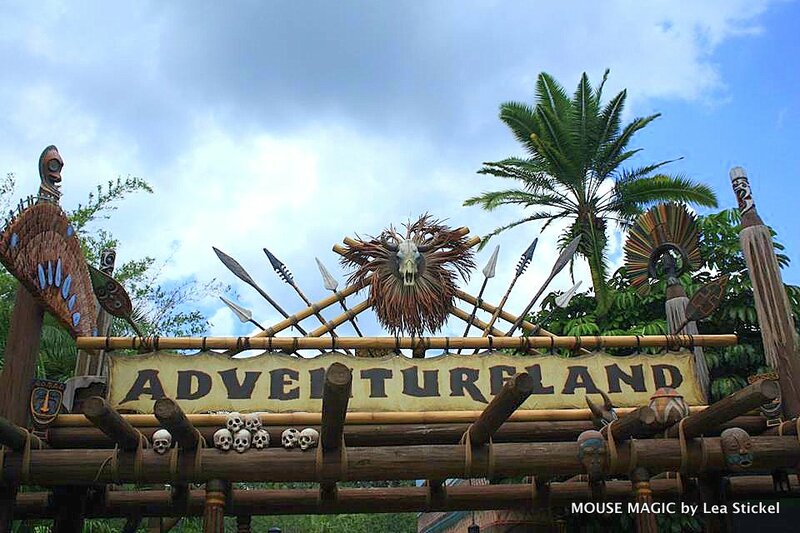 Adventureland is home to famed attractions such as Jungle Cruise, The Magic Carpets of Aladdin, Walt Disney’s Enchanted Tiki Room, Swiss Family Treehouse and Pirates of the Caribbean. 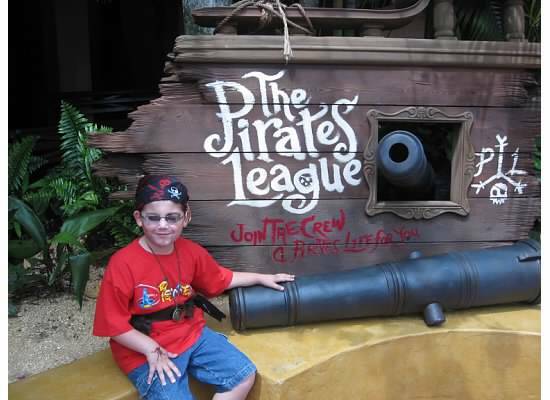 Adventureland is also the home to The Pirates League where anyone ages three (3) and up can join the league of swashbuckling buccaneers. 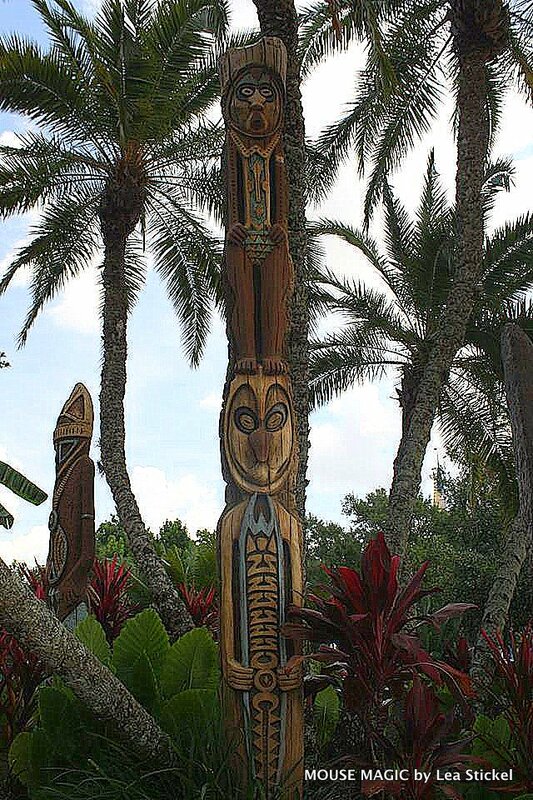 Adventureland is also the original home of the Dole Whip which is found at Aloha Isle. 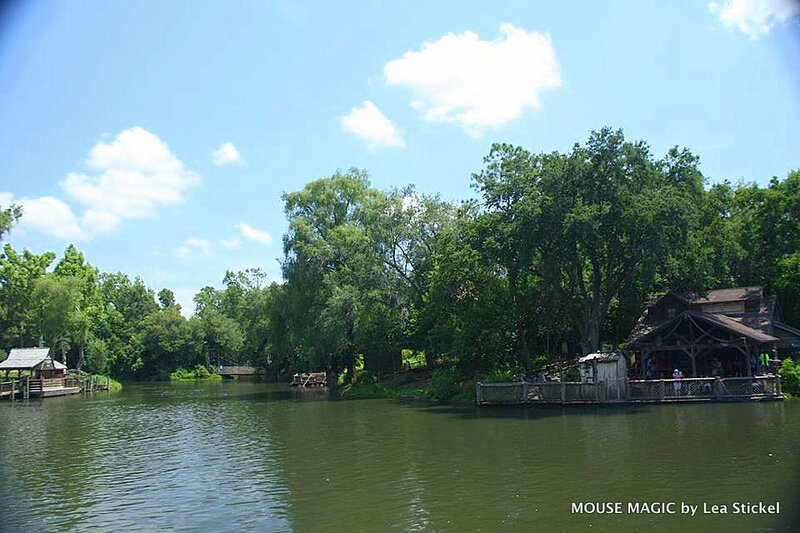 Below are just a small sampling of the sites you can expect to see in and around Adventureland. 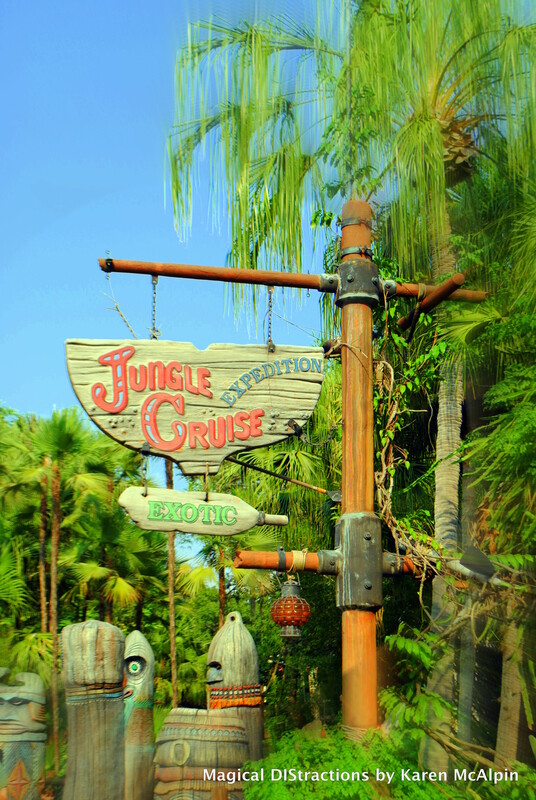 The Jungle Cruise is a campy river ride taking Guests on tour of the rivers of three different continents. The best part of the trip comes from the skippers’ entertaining jokes. Be prepared to see wild animals and ancient ruins. Have your cameras ready! 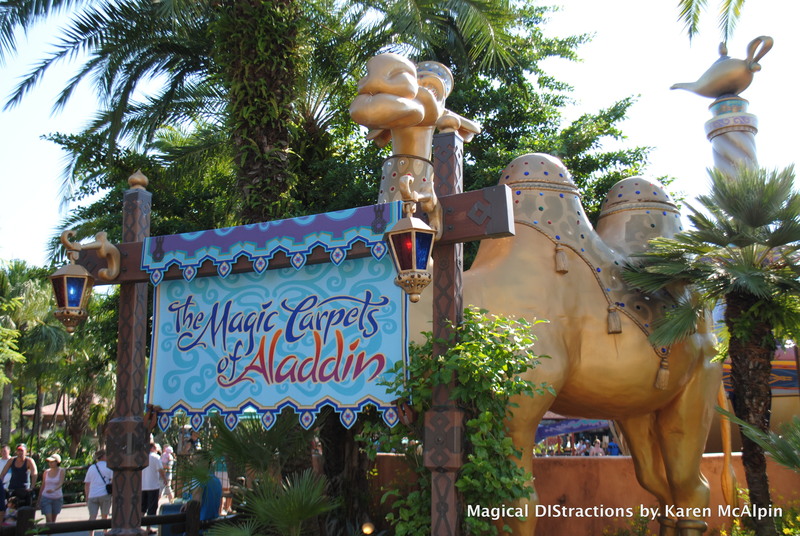 Take a flight of fancy aboard your very own magic carpet. 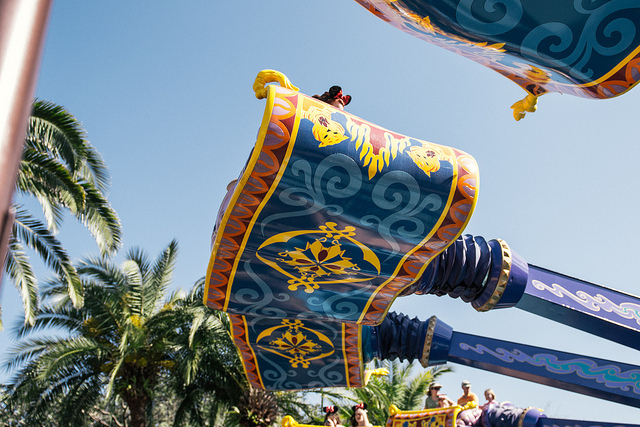 Inspired by the Disney animated classic, “Aladdin,” this whimsical spin above Adventureland is filled with ups and downs as you control both the pitch and height of the flight. 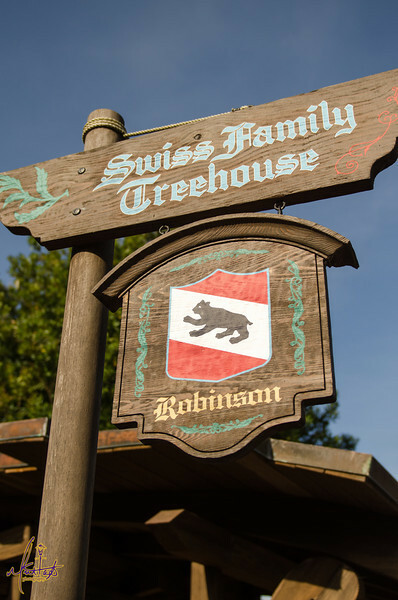 Transport yourself into the lives of the Swiss Family Robinson who were tossed onto a deserted South Seas island. 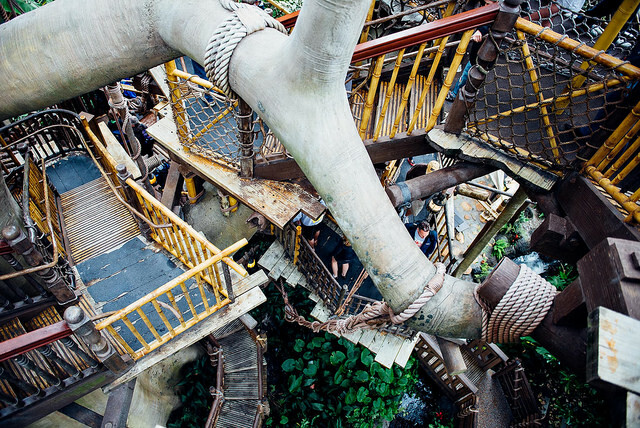 Not only does the family make do — but they build a treehouse and a life for themselves that is the envy of all who visit. “Yo ho, yo ho! A pirate’s life for me!” Take a wild voyage through secret caverns and fierce sea battles as you join the rowdiest rogues and rapscallions that ever sacked the Spanish Main. 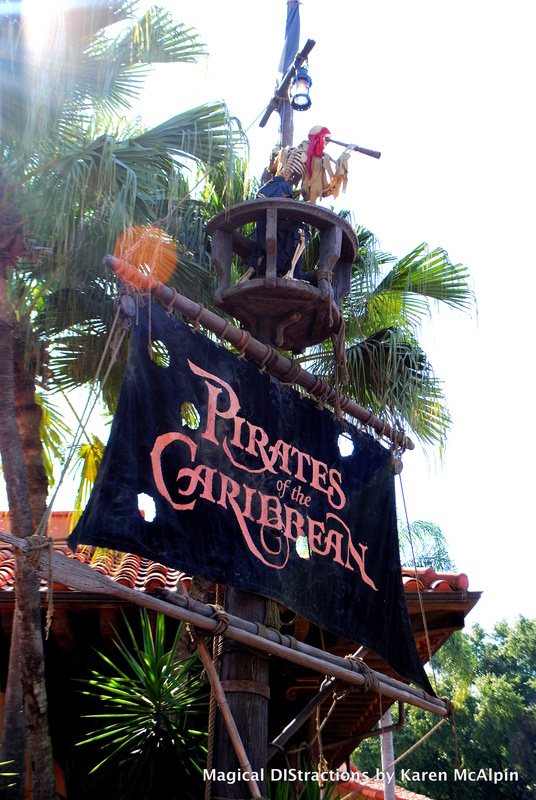 Discover Captain Jack and his nemesis Barbossa interacting with some of your favorite Audio-Animatronics buccaneers. 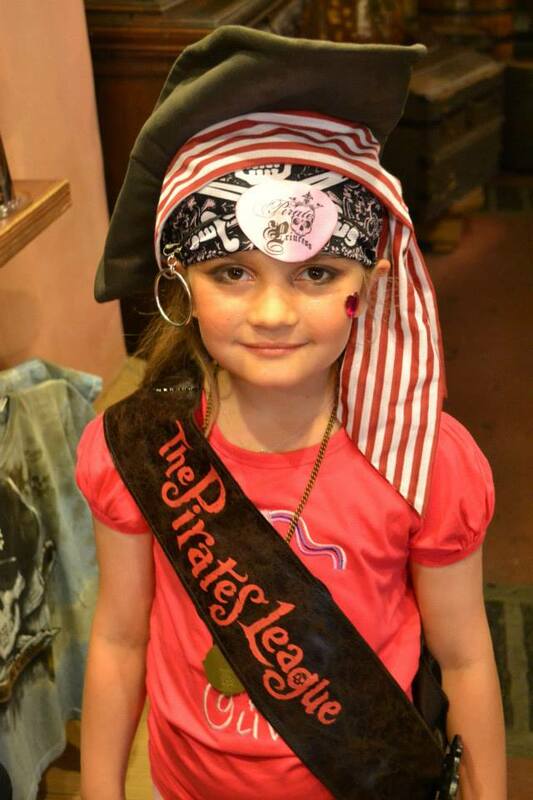 For more in depth information pertaining to The Pirates League, please visit this link. Aloha Isle is a quick service snack location serving up the one and only Dole Whip! At Aloha Isle, Cast Members serve up other tasty tropical treats such as ice cream swirls and delicious juices. Soft drinks and pineapple spears are also available. At Tortuga Tavern, you can take yer pick from a buccaneer’s bevy of menu items including barbecue sandwiches with either pulled pork, sliced beef brisket or grilled chicken breast, all served on Texas toast with beans and cole slaw. Vegetarians, or anyone looking for a lighter meal will enjoy the roasted corn and vegetable salad, served with vinaigrette dressing. Barbecue beef brisket or chicken can also be added to the salad. 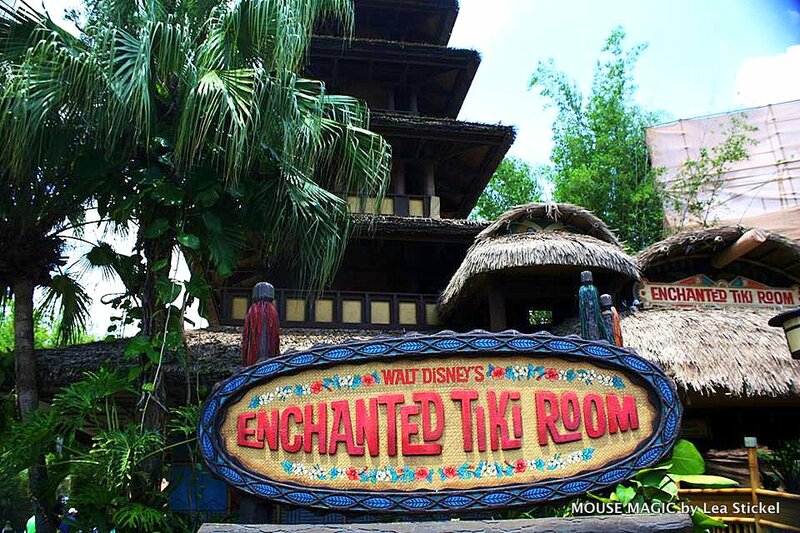 Located directly across the way from Pirates of the Caribbean, this is a fan favorite! Sunshine Tree Terrace is a quick service snack location known for it’s citrus snacks. One of their specialties is the Citrus Swirl which is made of tasty soft-serve ice cream blended with frozen juice and is sunshine in a scoop! Jungle Navigation Co. Ltd. Skipper Canteen is the only table service restaurant located in Adventureland and currently takes same-day reservations only. At Jungle Navigation Co. Ltd. Skipper Canteen, Guests can explore the bold, flavorful cuisine of Asia, South America, and Africa with the help of the famous skippers from the Jungle Cruise! 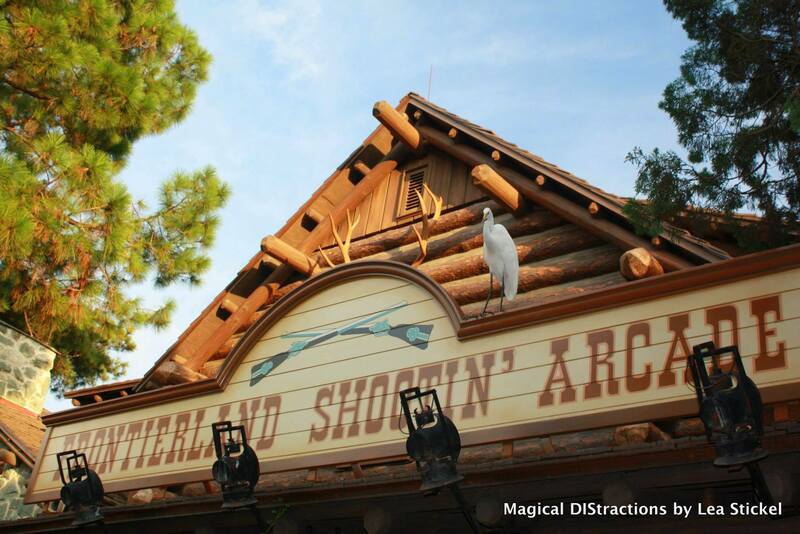 Frontierland is home to famed attractions such as Big Thunder Mountain Railroad (my Favorite! 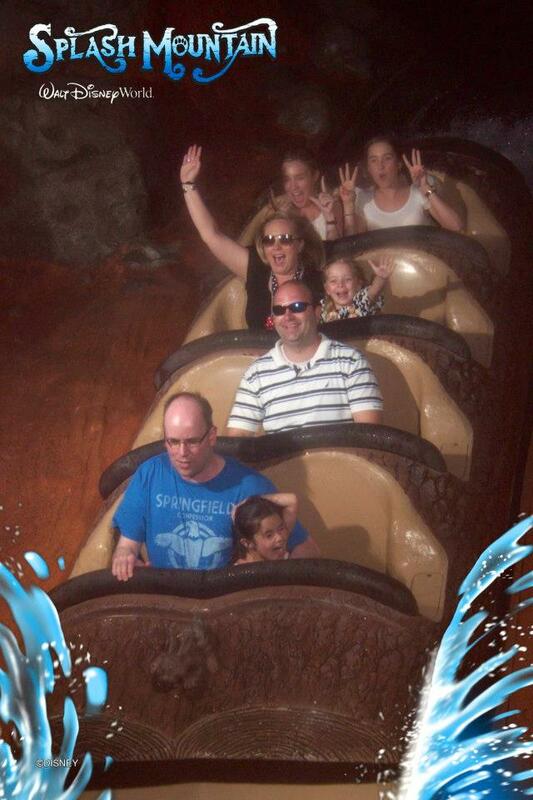 ), Splash Mountain (again, one of my Favorites! 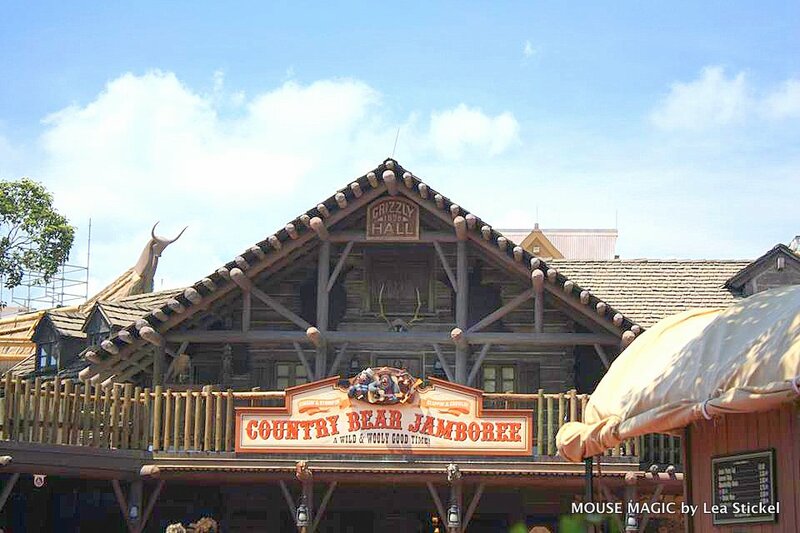 ), Country Bear Jamboree, Tom Sawyer Island, and Walt Disney World Railroad (one of 3 stops throughout the Magic Kingdom). At The Golden Outpost, they’re rustling up some vittles for Guests on the go. If you are in Frontierland in the Magic Kingdom park, stop by this Old West-style brick building where the menu includes hot and crispy waffle fries, topped with fixin’s like brown gravy and cheese or barbecue pork and coleslaw. Soft drinks, coffee, tea and cocoa are also served. 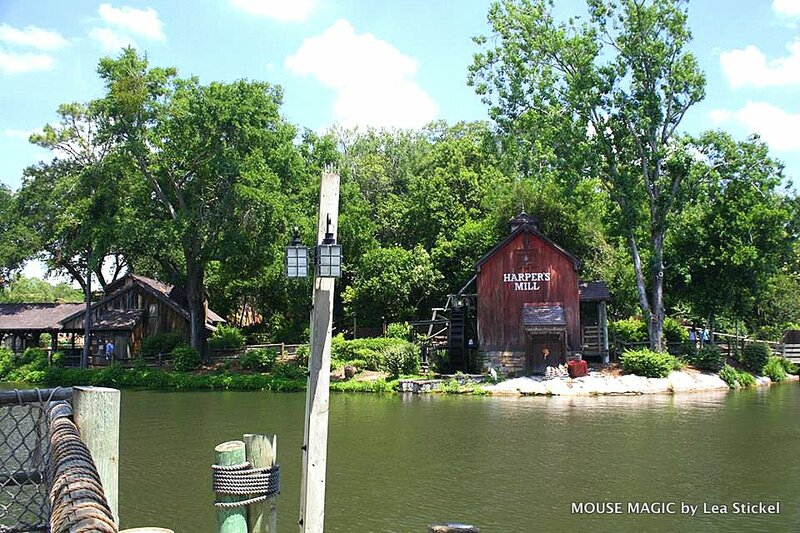 Guests can dine upon some might fine grub at Pecos Bill Tall Tale Inn and Cafe in Frontierland at the Magic Kingdom park. Y’all can sit around and tell tall tales while dining on over chicken fajitas, beef burritos and the pepper jack-topped Southwest Burger—all before riding off into the sunset to the taste of sweet treats like mini churros with dipping chocolate. Liberty Square is home to the most famous of all attractions in the Magic Kingdom (according to recent polls), the Haunted Mansion (again, another one of my Favorites! 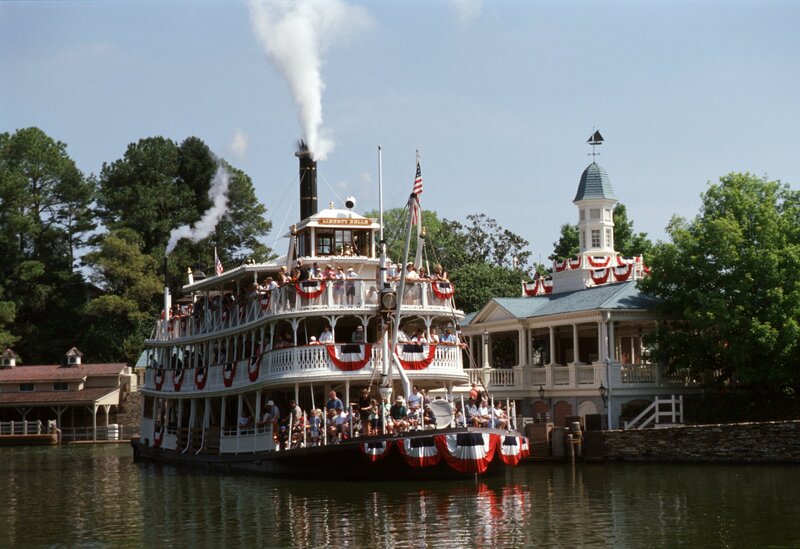 ), Liberty Square Riverboat, and The Hall of Presidents. 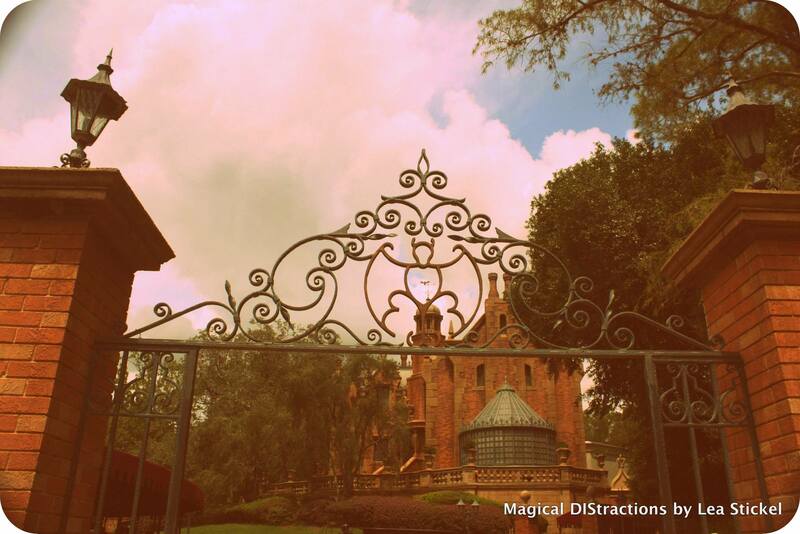 The Haunted Mansion at the Magic Kingdom in Walt Disney World Resort is home to 999 happy haunts, several of which “reside” in the graveyard outside the gothic manor in the park’s Liberty Square area. Make yourself at “tomb sweet tomb” in the home of 999 happy haunts, where there’s “always room for one more.” Inside, hop on a Doom Buggy to get in the “spirit” of things. 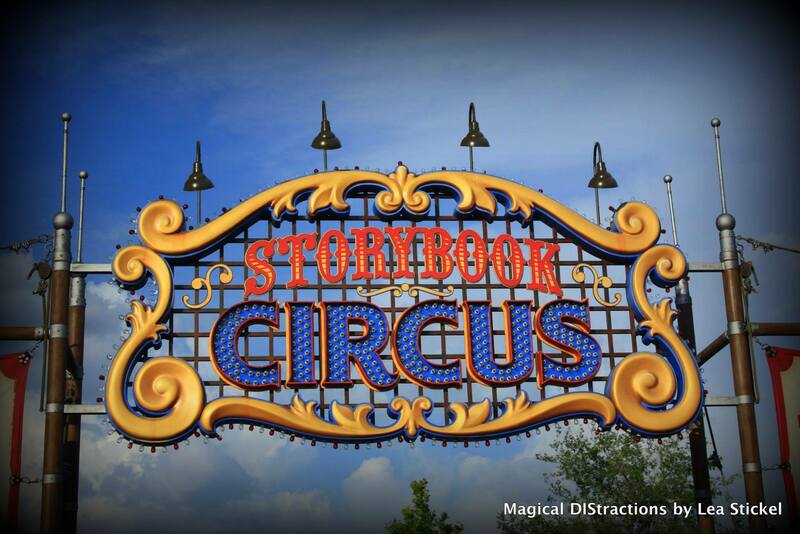 Experience the stretching room, the séance and hitchhiking ghosts in this Disney classic. 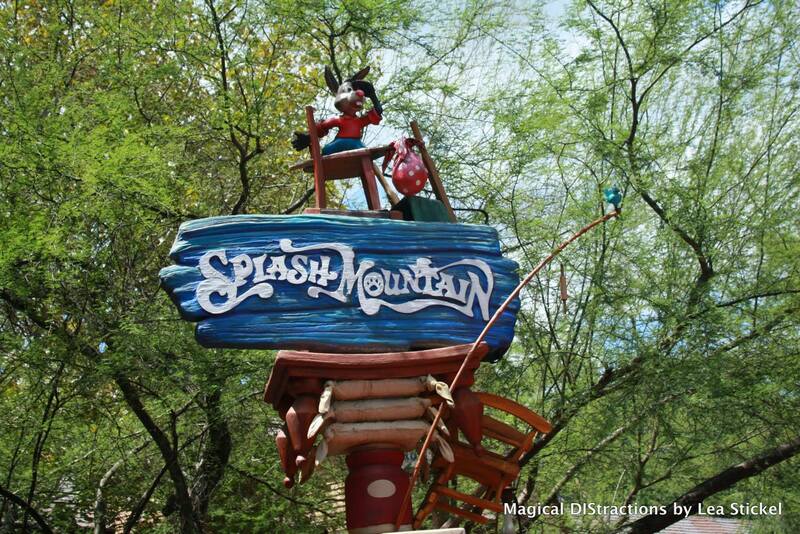 While many are afraid of this ride, it is more “campy” than “frightening. 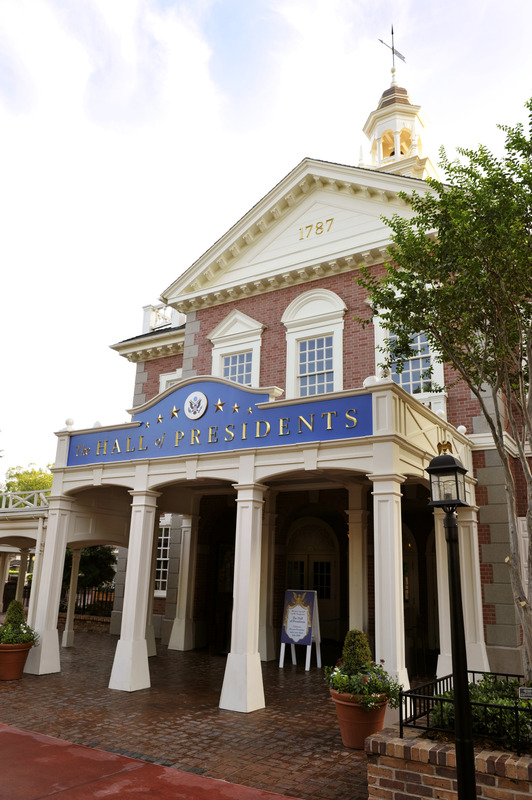 The Hall of Presidents is a celebration of Liberty’s Leaders. Prior to being seated for the 25-minute show, Guests get an entertaining lesson in American history as they explore the art and artifacts attendant to America’s chief executives. Marvel at how theatrical magic brings you up close and personal to all of the Presidents of the United States. This sweeping tribute is a Disney classic. In a one-of-a-kind combination of dazzling widescreen film, breath-taking Audio Animatronics® and Disney storytelling, all 44 U. S. presidents gather to hear the words of Abraham Lincoln. DIStracted Tip: This is a great place to cool off during the heat of the Summer, let babies nap, or escape from the rain. Otherwise, we typically avoid this attraction. If you have seen it once, there really is no reason to see it again unless you are an American History buff! Chances are your children will be bored to tears. The “Liberty Tree” in Liberty Square stands as the largest living specimen in the Magic Kingdom and is the largest tree ever transplanted on Walt Disney World property. 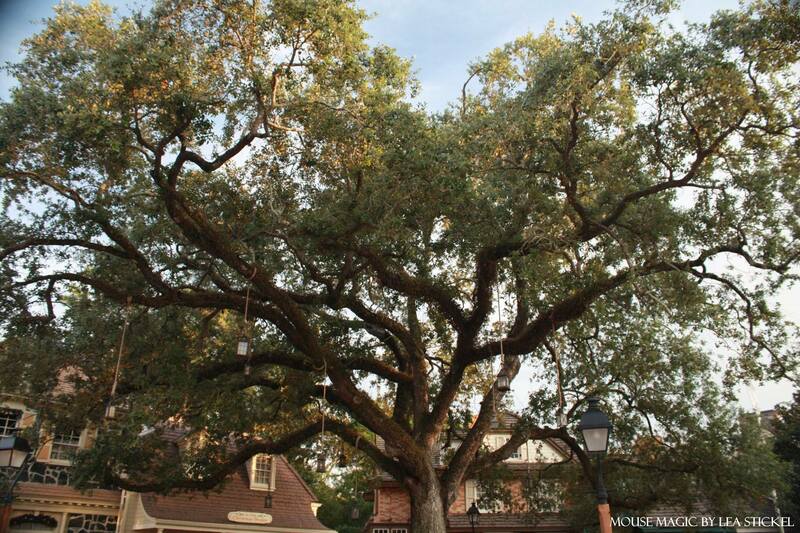 The 100-year old southern Live Oak was found on the east side of the Walt Disney World property about eight miles from its current location. Preparations to move the 38-ton tree began a year prior to moving it when it was discovered that the root ball measured 18 feet by 16 feet by 4 feet deep. It was so large that it was impossible to lift it by simply wrapping a cable around it. Bill Evans, Walt Disney’s hand-picked landscaper, had come up with an innovative method where holes were drilled through the hardwood center of the trunk and steel rods inserted. These rods on the Liberty Tree served as handles for hoisting and hauling the tree with a 100-ton crane to its present location. Liberty Tree Tavern is a “stately colonial inn” serving up traditional New England fare. Columbia Harbour House is a great quick service location for sandwiches, salads and fish and chips. My favorite thing about this restaurant is the Cast Members stand outside ringing the bell! 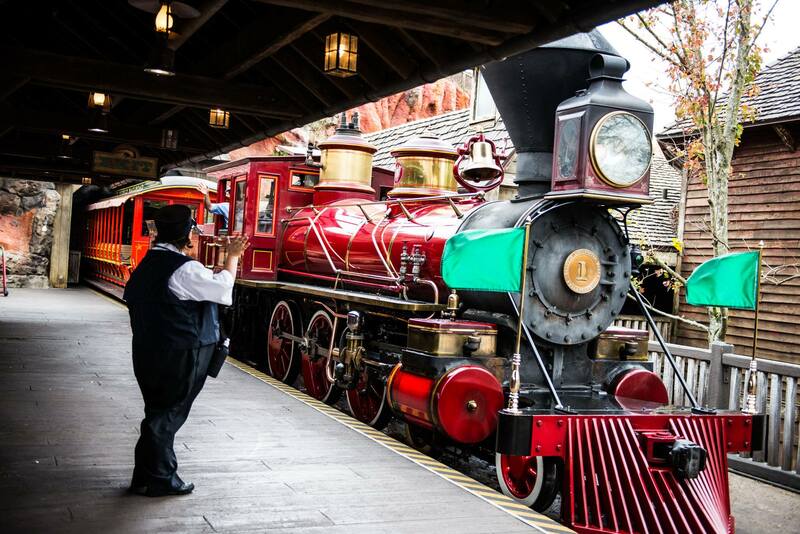 The Diamond Horseshoe is a quick service location serving up American fare in a Country – Western atmosphere. 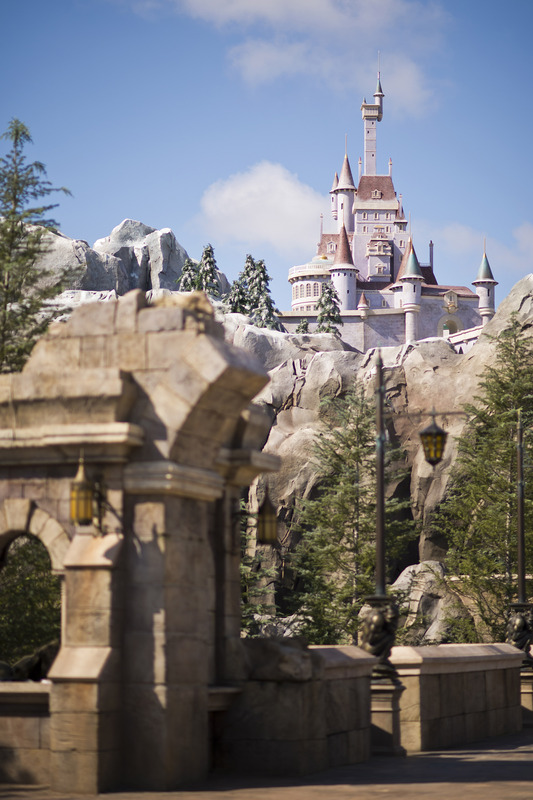 Fantasyland is home to Cinderella’s Castle, “it’s a Small World,” Peter Pan’s Flight, Mad Tea Party, Prince Charming Regal Carousel, Princess Fairytale Hall, Fairytale Garden, The Many Adventures of Winnie the Pooh, Mickey’s PhilharMagic (My ABSOLUTE FAVORITE!!! ), Walt Disney World Railroad (1 of 3 stations in the Magic Kingdom), Seven Dwarfs Mine Train, Under the Sea – Journey of the Little Mermaid, Ariel’s Grotto, Enchanted Tales with Belle, Dumbo the Flying Elephant with double flying elephants, Barnstormer Coaster, and Casey Jr.
Share the magic with children of all ages who have seen the castle on television, in newspapers and magazines, and have dreamed of finally seeing it in person. This international icon is a sight for all the world to see! Take the legendary boat ride around the globe on this musical tour of nations. Hundreds of international dolls sing and dance to the famous “it’s a small world” medley. After it’s over, good luck getting that tune out of your head! Be dazzled by this immersive attraction that bursts forth with amazement from one of the largest seamless screens in the world! It stars Mickey Mouse, Donald Duck and other beloved Disney favorites in a hilarious adventure through movies, music and mayhem. 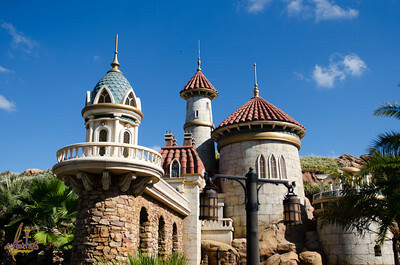 This 3-D experience is my favorite attraction in Fantasyland! Princess Fairytale Hall welcomes you past stone walls and beautiful stained glass windows into an elegant royal court. This huge gallery features a vaulted ceiling and portraits of Disney princesses. 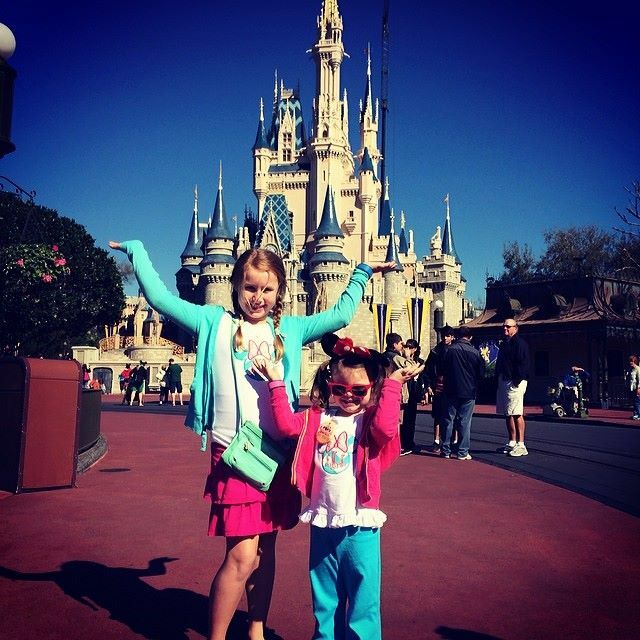 Once inside, you will be able to meet Anna, Elsa, and Rapunzel. Beast’s Castle is home to Be Our Guest, the most sought after dining experience in the Magic Kingdom. 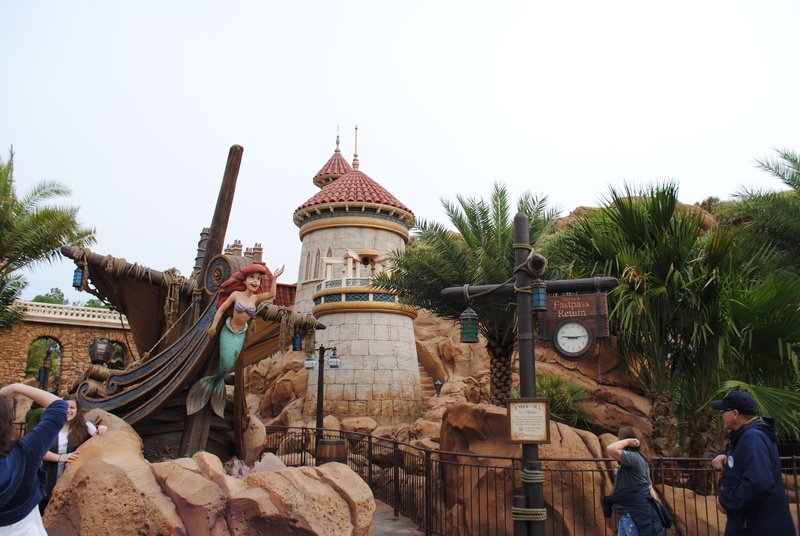 Prince Eric’s Castle is home to Ariel and her friends in Under the Sea ~ Journey of The Little Mermaid. 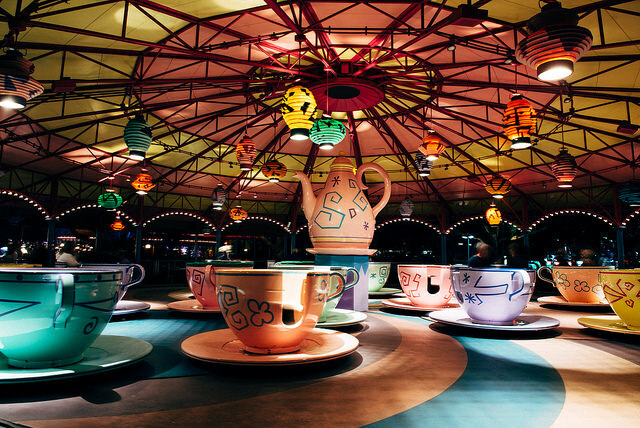 This attraction takes you through beautifully rendered scenes featuring classic songs from the popular animated feature film. You will travel with Ariel and her friends through their exciting adventures above and below the waves. 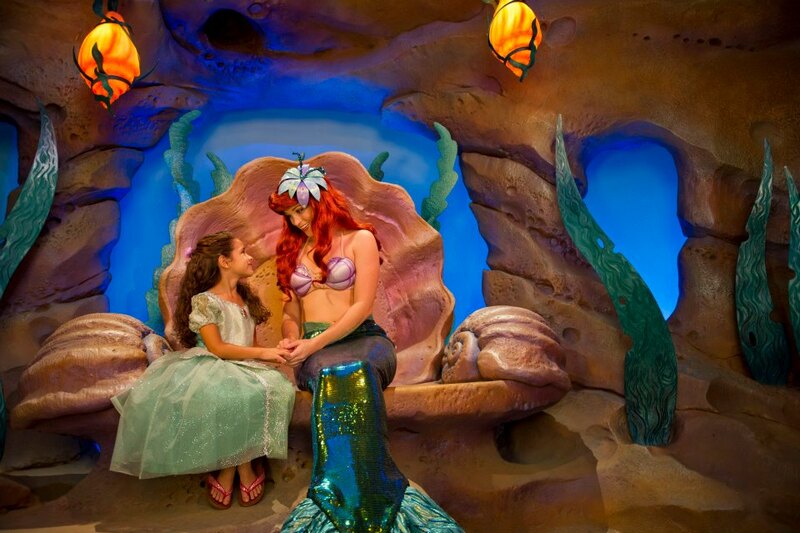 Journey “under the sea” with “The Little Mermaid” at Ariel’s Grotto character greeting location. Have your autograph books ready. 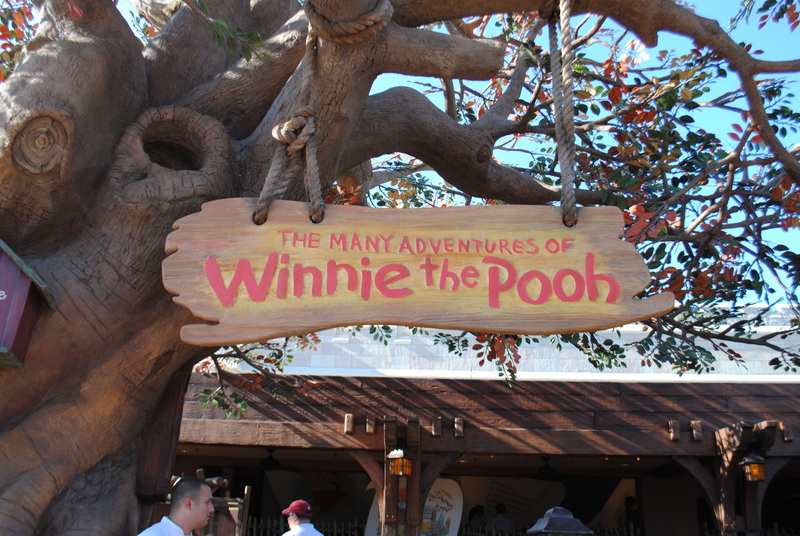 Visit all your friends from the Hundred-Acre Wood for a grand adventure. 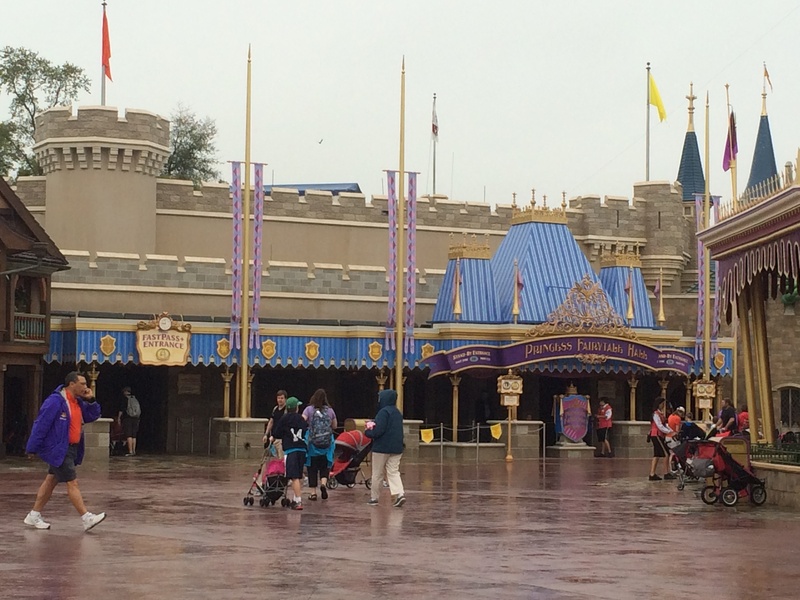 It’s the ride in which you get put in the middle of Pooh’s blustery day. You’ll bounce along with Tigger. 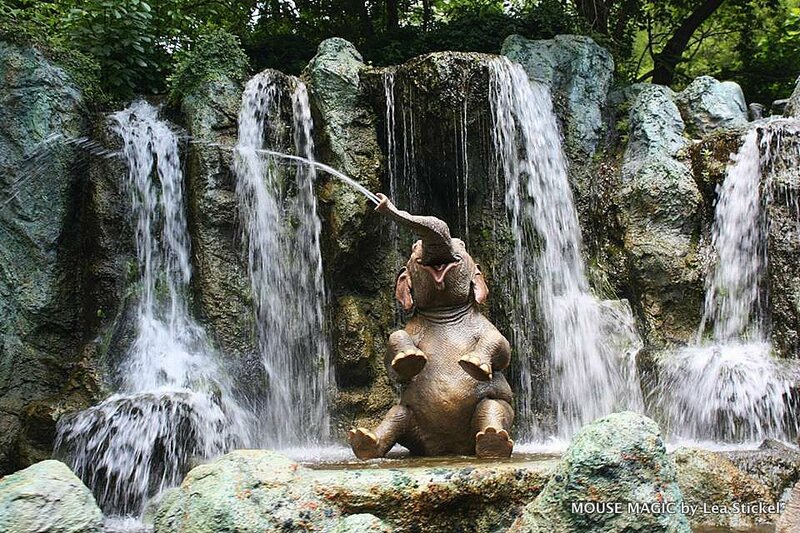 Float through a floody place with Piglet. Even enter the mysterious world of Heffalumps and Woozles. It’s a willy nilly silly good time. 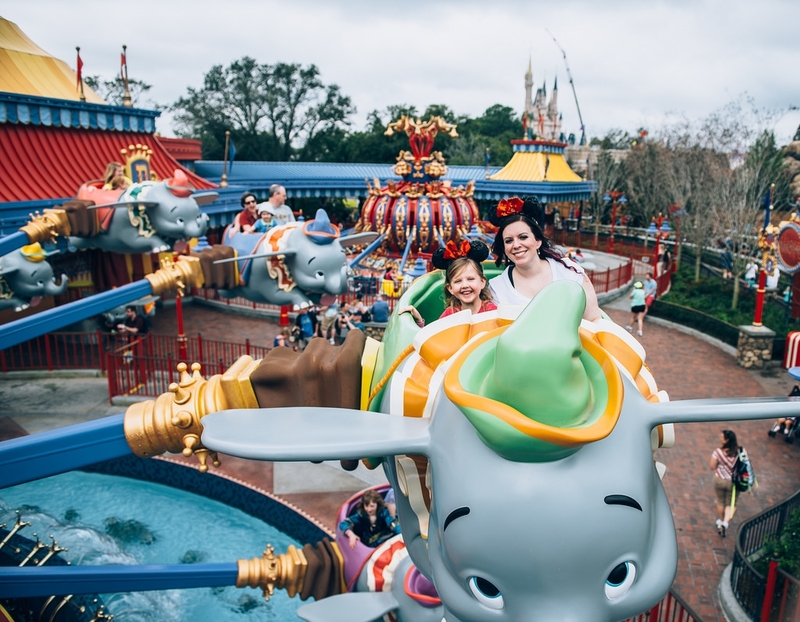 Some of the fun attractions which can be found in Storybook Circus include Dumbo the Flying Elephant, Barnstormer, Walt Disney World Railroad (Fantasyland Station), and Casey Jr., Splash ‘n’ Soak Station. 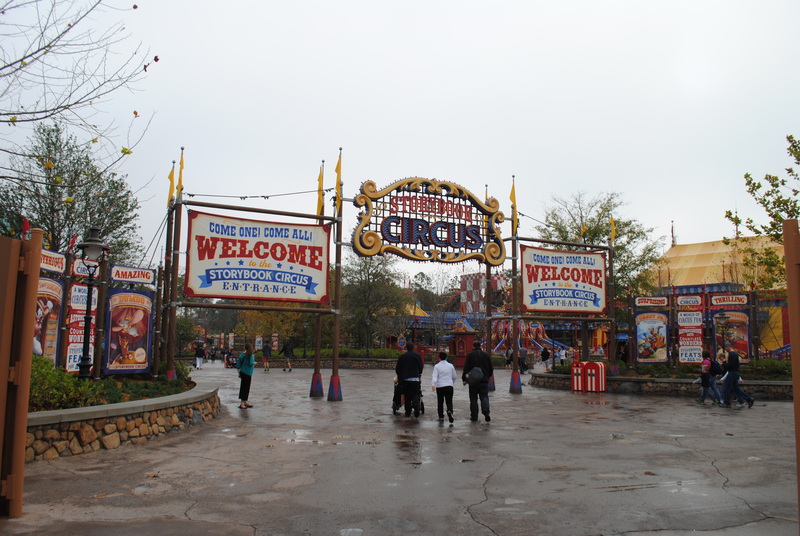 In Storybook Circus you will find not one but two circling carousels of airborne pachyderms on Dumbo the Flying Elephant. 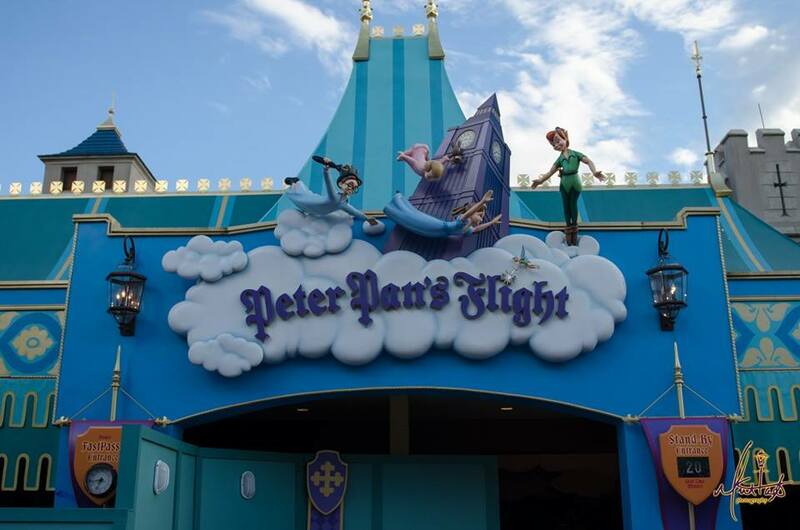 And, before taking to the skies on this Fantasyland favorite, your Clients can experience an array of fun-filled family games and interactive wonders for kids of all ages inside the Big Top. 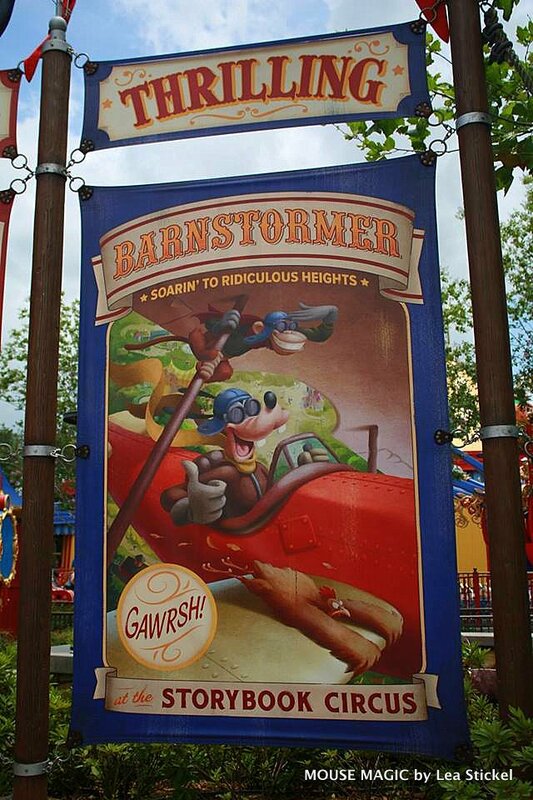 The Barnstormer, featuring Goofy as The Great Goofini, is a twisting, turning roller coaster “flight” high above the circus fun. Cinderella’s Royal Table is located inside Cinderella’s Castle in Fantasyland. 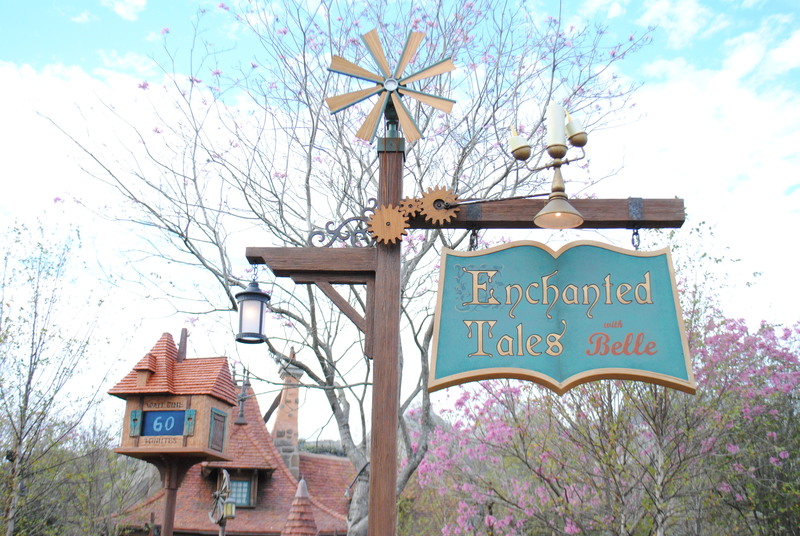 Here you can dine with Cinderella herself, along with the various other Princesses which may include (Belle, Jasmine, Rapunzel, Aurora, Ariel, and Snow White). You may also see the Fairy Godmother here as well. Cinderella’s Royal Table is a table service meal which takes two (2) table service credits should you be on the Disney Dining Plan. 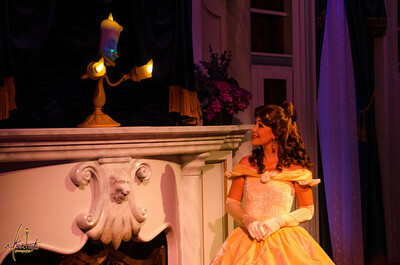 Be Our Guest is located inside the Beast’s Castle in the New Fantasyland. The table service option is only available for dinner. Beast is the only character who makes an appearance, however, this is not considered to be a character dining experience. Be Our Guest is also open for Lunch as a Quick Service Dining Option. 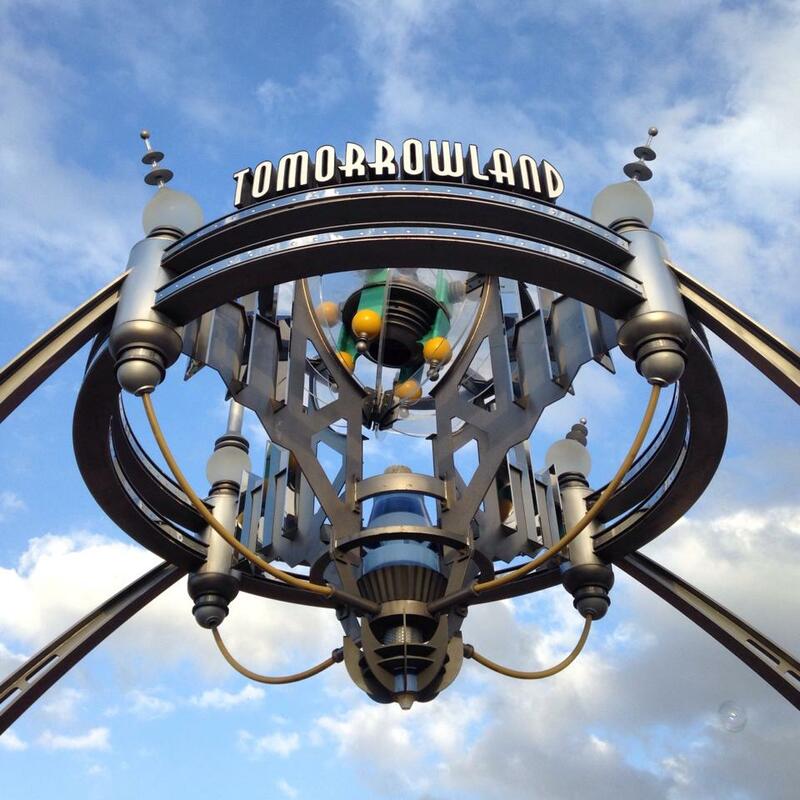 Tomorrowland is home to Space Mountain, Buzz Lightyear’s Space Ranger Spin, Monsters, Inc. Laugh Floor (One of my Favorites! ), Tomorrowland Speedway, Astro Orbiter, Tomorrowland Transit Authority PeopleMover (Again, another one of my all time Favorites! 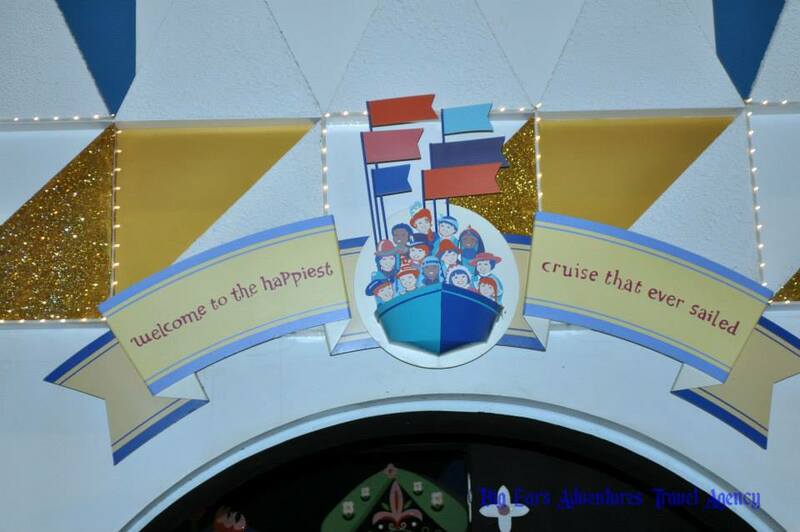 ), Stitch’s Great Escape, and Walt Disney’s Carousel of Progress. Tommorrowland Terrace Fireworks Dessert Party is a special dining event located in Tommorrowland. You must make reservations in advance. This is NOT included on the Disney Dining Plan.